On September 3rd we launched our fortnightly Sunday School!! 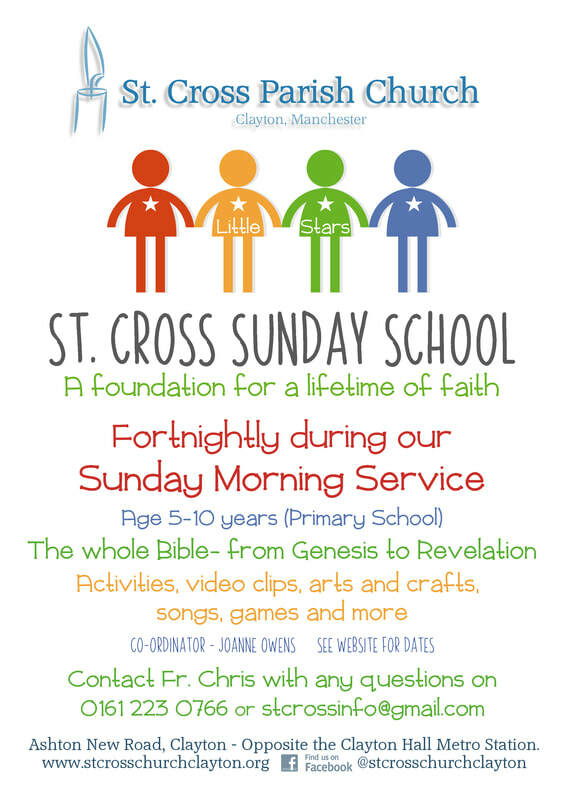 St. Cross Little Stars Sunday School will be coordinated by Joanne Owens, supported in delivering a programme by three volunteers. The aim of the school will be to help children learn the whole bible- from Genesis to Revelation. Sessions will be delivered through a variety of activities, video clips, arts and crafts, songs, games and more and we hope that the school will give children the foundation for a lifetime of faith. Sunday 19th November 2017 - an extra session to make up for the previous week. Sunday 3rd December 2017 - This week the children will begin preparing Christingles for our Christingle Service in two weeks time. Sunday 17th December 2017 - This week the children will finish their Christingles and bring them in to church to show the adults. Please make sure you arrive with your child/children by 10:20am and bring them to the Church Centre.